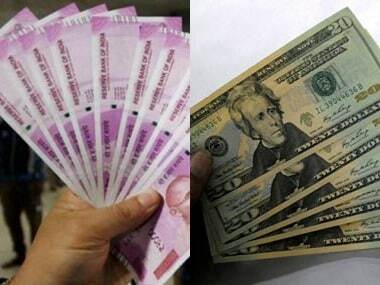 New Delhi: The Indian rupee on Monday surged by 57 paise to close at an over seven-month high of 68.53 against the US dollar, also marking a sixth straight session of gains, driven by sustained foreign fund inflows and narrowing trade deficit. The dollar index, which gauges the greenback's strength against a basket of six currencies, fell 0.20 percent to 96.40. At the Interbank Foreign Exchange, the rupee opened at 68.92 and advanced to a high of 68.45 during the day. It finally settled at 68.53, a rise of 57 paise against the dollar over its previous close. This was the highest closing level for the rupee since 1 August, 2018 -- when it ended at 68.43. On Friday, the domestic currency had closed at 69.10 against the US dollar. In the last six trading sessions, the rupee has appreciated by 161 paise. "Indian rupee continues advancing for the sixth day in a row, marking the best performer among the Asian currencies in today's trade amid better than expected trade data and foreign fund flows," said V K Sharma, Head PCG & Capital Markets Strategy, HDFC Securities. According to data released by the commerce ministry, the marginal 2.44 percent rise in exports, as well as lower imports of gold and petroleum products in February, significantly narrowed the country's trade deficit to $9.6 billion. Meanwhile, the Financial Benchmark India Private Ltd (FBIL) set the reference rate for the rupee/dollar at 68.6088 and for rupee/euro at 77.7827. 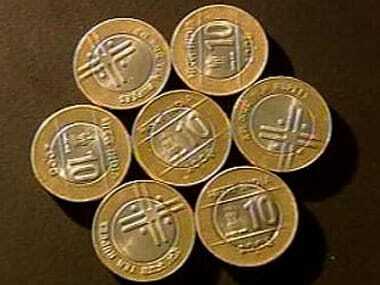 The reference rate for rupee/British pound was fixed at 91.1184 and for rupee/100 Japanese yen at 61.50. Further lifting market sentiment, foreign institutional investors (FIIs) put in Rs 1,822.99 crore on a net basis on Monday, provisional data showed. "Overseas investors have bought $2.4 billion in equities this month, taking net foreign purchases to $4.7 billion, the highest in Asia. Global funds have raised holdings of rupee-denominated bonds by $833 million this month, HDFC Securities' Sharma said citing exchange data. In line with rupee movement, equity benchmark Sensex too extended its winning streak to a sixth consecutive session. The BSE Sensex gained 70.75 points, or 0.19 percent, to close at 38,095.07.